Although there are many structural features that contribute to the overall look of homes, windows are frequently referred to as the “eyes of the house”. These allow natural light to pour into the abode and they also play the greatest role in determining the overall character and ambiance of both the property interior and exterior. This is why homeowners and any design teams that they work with should have a comprehensive understanding of the different options in window styles. Often referred to as sashes, sash windows are an incredibly popular choice among consumers who want a more traditional look and feel for their abodes. Windows like these are especially common in Victorian and Edwardian-style homes. Thus, if you own existing construction that is one of these two architectural types, investing in sash window restorations or even the installation of new sashes is almost essential. This is the only way to truly maintain the overall historic integrity of these property designs. The installation of modern, vinyl or aluminum window styles will only detract from the natural, aesthetic beauty of these buildings. Moreover, it could require significant structural innovations given that buildings like these were often designed specifically for the installation of sashes and often have a number of non-traditional window shapes and sizes that might not look well with non-traditional window styles. Options like these are comprised of two panels that are movable. These panels themselves are referred to as sashes. Sliding sash window styles are the most common and these are comprised of two separate sashes that move vertically with one position in the front and the other directly behind it. These are then counterbalanced by a relatively simple system of cords and lead weights. This is actually the historic version of these designs, however, more modern versions are reliant upon springs as opposed to lead weights. In addition to being incredibly, visually appealing, they are also highly functional and capable of providing a number of practical benefits. One thing to note about the earliest and most historically accurate of these designs is that they do not tilt inwards or outwards. 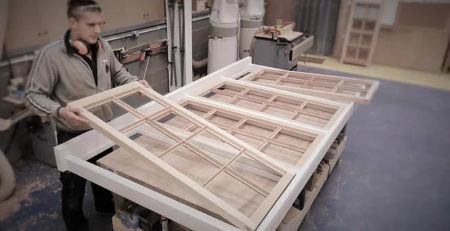 There are, however, a number of modern window makers that are capable of producing tilting sashes without veering too far away from the more conventional look of these structures. Moreover, it is not possible to secure windows like these that can swing outwards. Instead, they can be opened at the top, the bottom or at either end. “Sash” is actually derived from a French word that means frame. As such, it refers to either glazing or a single frame. 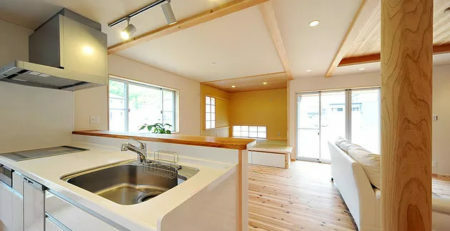 Conventional options are comprised of a number of very small-sized panes that are fashioned together with glazing bars. This in turn produces a much larger, glazed surface. More than several hundred years old, the initial styles were certainly reflective of the limitations in glass-making technologies. At their inception, these units were comprised of many small-sized pieces of glass, often eight or more. As glass-making technologies advanced and it became possible to produce larger and clearer panes of glass, however, individual sections became much larger and the finished result become clearer and significantly more pleasing to the eye. These designs are a vital part of the architectural history of Britain. They made their introduction into England’s building and development scene during the latter portion of the 17th century via France. For more than two centuries, these were considered to be the most fashionable options in window designs throughout all of Britain. This is why they are notably present in buildings that still remain from the Regency, Georgian and Victorian periods. One of the most impressive things to know about these structures is that they are capable of lasting for a very long time. This, however, is only true when they are diligently and properly maintained. With proper maintenance and care, there are actually some sash window styles that have lasted for nearly 300 years. Evidence of this can be seen at the historic Ham House in London. Among some of the more practical benefits provided by these structures is excellent building ventilation. Designs like these are actually among the very best for promoting optimal air flow. Given their unique construct and the unique way in which they work, even slightly opening these structures can produce a powerful flow of cooling air when needed. This can be incredibly helpful in historic construction that lacks a modern, built-in cooling system. Rather than relying on window air conditioners or free-standing, portable cooling units, building residents can simply take advantage of these highly efficient openings. The window designs are also capable of providing an impressive amount of security. It is vital to note that these window styles can be locked securely in position, even if they are slightly open. As such, you can continue to keep them open without fear of having unauthorized parties gain access to the abode. This way, if you enjoy sleeping at night with the benefits of a cooling outdoor breeze, you don’t have to worry about break-ins. The glazing also contributes to increased security. Given that each unit is comprised of several different panels, a broken window is not as much of a concern. Intruders would find it absolutely impossible to climb through these diminutive openings while the glazing bars continue to remain intact. Homeowners should understand, however, that both maintenance and vigilance are a must with these structures. With a weighted, cord system, it is possible to have a cord break on just one side of the unit. While the unit itself will continue to open and close as normal, the loss of the second cord will place an undue amount of stress on the remaining one. This will expedite the breakdown of this remaining cord which could mean that the window will stop opening and closing entirely. Thus, if a single cord is broken, rapid restoration and repairs should be performed. This is all the more true when a home has period sashes or even original sashes. The good news is that most common forms of damage to these structures can often be easy rectified and at a very moderate cost. Wood rot is an obvious concern given that sashes are largely comprised of this natural and naturally-insulating material. As such, the majority of sash maintenance should involve these surfaces. Flaking paint is a common cause of rot. The best way to avoid this is through the regular application of modern pain or modern pain finishes. Homeowners should note, however, that any buildup of excess paint will invariably lead to problems as well. This can cause sashes to stick, thereby making them difficult to open and close. 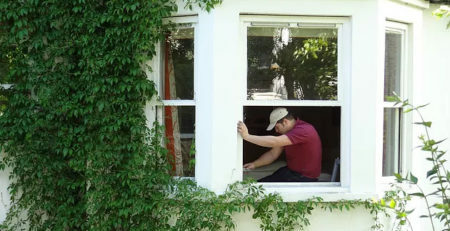 If people find that their windows are slow to respond to efforts to move them out of their closed positions, they can simply use sugar soap to perform a quick rubdown of these surfaces before applying any new applications of paint or finish.